In the extremely competitive environment, businesses need to focus on the successful development of mobile and web platforms. 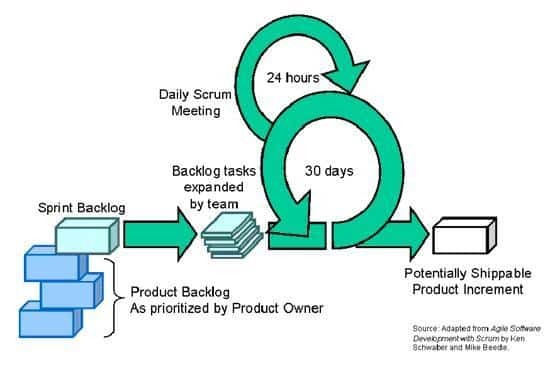 And Agile project development serves the purpose to achieve this goal. However, the actual quality of work comes down to the expertise of the team you have right by your side to manage the project. At Macronimous, we have been leading businesses towards the path of successes and competitive edge with our Agile Project Management services. The assistance of the skilled and qualified SCRUM masters ensures the successful completion of the project as per the expectations. Along with SCRUM, our specialists also leverage KANBAN for the Agile Web and Agile Mobile development services. Agile approach for web solutions helps in providing business-focused project results. And that too, within a shorter period of time. The methodologies followed via Agile approach includes a step-by-step completion of the project through multiple levels. Plus, the constant communication between the authorities and the development team keeps the project on the right track. Why do we believe in Agile approach? The approach allows us to keep the clients and the development team on the same page. All of the features serve the business purposes for the client. Product refinement becomes easier with stakeholder engagement. How we further enhance the benefits of Agile? When you hand over the job to us, the assurance of the quality results gets further enhanced. We leverage both SCRUM and KANBAN methodologies to offer top-notch results for our clients. We start the development process by dividing it into multiple levels. This separation helps in deciding clear goals and leading the project towards the pre-decided results. A team of experts discusses the requirements for the stakeholders and define requirements. As the development starts, we monitor the alignment of the achieved results with the goals at every level. All the chances of errors get diminished and the project reaches the top-notch result. However, we don’t stop there. Our team gets the feedback from the stakeholders of the project and make the necessary changes if required. Meet your application needs with us! We specialize in providing quality applications for your business. Our team of agile professionals works with passion and determination to offer value to your business with exceptional quality web solutions. Our expertise and the experience of serving hundreds of clients make us a reliable choice for you. So, whenever you have the need for budget-friendly completion of the web development, let us know! We invite you to discuss your requirements with our agile project management experts. We can answer all your questions and recommend valuable suggestions. So, wait no more and contact us.